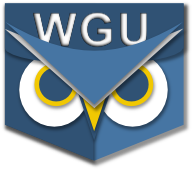 If you're an active WGU student with an iPhone or iPod Touch that wants to help test, please send an email to pocketwgu@gmail.com. The current "alpha" version will only run on devices running iOS 4.0 or later, and you'll need to send us your device's ID (you can find this in iTunes by clicking on your device serial number) so that we can register it with Apple for our testing program. Those are Apples rules, not ours.